Not all is doom and gloom in retail land. A record number of stores have closed this year, and Wikipedia added an entry for "retail apocalypse." But some retailers have staved off pressure from Amazon (AMZN) and competitors. The Children's Place, Best Buy, Walmart, Dollar General, Home Depot and Costco are humming right along as others struggle to lure customers. Shares of each of of those retailers are up double digits this year -- Walmart's shares are at an all-time high. Meanwhile, the retail sector as a whole is down 6% in 2017. It doesn't seem like a children's retailer would have much in common with a home-improvement store, but successful retailers share a winning formula for keeping Amazon at bay. Walmart (WMT) knows that keeping its costs low can go a long way toward boosting its profit. Its decision not to hire holiday workers this season will likely increase its profitability this quarter, the company said. This week, Walmart boosted its forecast for the holiday shopping season. 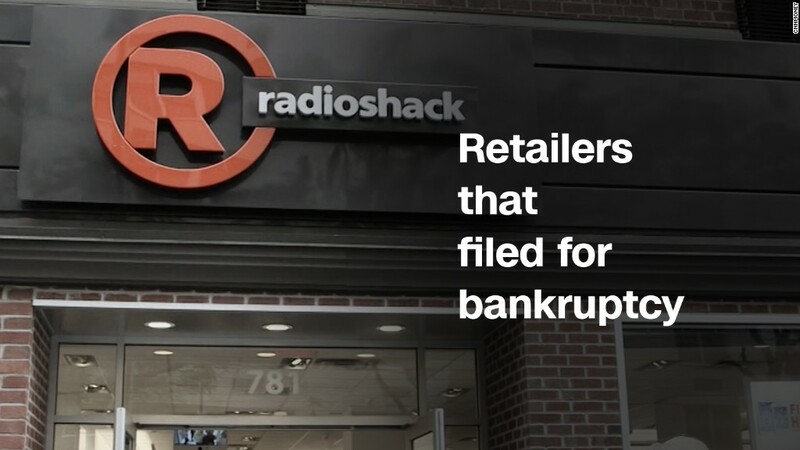 Best Buy (BBY) has also successfully avoided financial mismanagement and high debt burdens, which have brought down its competitors like the bankrupt RadioShack. And Costco has put pressure on vendors to bring down costs, letting it keep prices low for customers. "When times are tough, such as they have been for the past ten years, executives need to really know what they're doing," says Richard Feinberg, professor of retail management at Purdue. "All these retailers control their costs, which can be more effective than simply increasing revenue." That's because a dollar saved is a dollar earned in profit, whereas a dollar raised in revenue only increases profit by a percentage (the profit margin). Children's Place (PLCE) is more than just a kids clothing store, says Ron Friedman, a retail expert and partner at Marcum LLP. "It's a children's apparel destination," Friedman says. "It's a brick and mortar store just for kids. It's in the name." That kind of experience-oriented focus is a common factor in keeping successful retailers humming. "Retailers that want to succeed have to be an entertaining destination for consumers, especially Millennials," Feinberg says. Similarly, Best Buy established itself as a destination to ask for help and advice with home and electronics needs. That's particularly important in the age of smart houses. Best Buy has benefited from hiring teams of experts to help consumers understand and install new smart products. Related: When will stores open on Black Friday 2017? Just as Amazon doesn't do a great job helping customers understand how to work their new smart oven, it also can't help customers understand the difference between a socket wrench and a ratchet set. "Home Depot is a place where you can go and ask questions, like Best Buy," Friedman says. "People value that." Think about it: When was the last time you purchased a $2 hand soap online? Shipping costs more than the soap! By keeping prices cheap and plentiful stores, Dollar General (DG) has kept itself Amazon-proof. Amazon probably could sell dollar items, but likely wouldn't make much money on them because of shipping costs, according to Feinberg. "Dollar stores are, for now, a special form of business," Feinberg says. Costco (COST) is another company immune to the rise of e-commerce as consumers save by buying in bulk. And Home Depot's (HD) items are too onerous for a company like Amazon to ship. Buying plywood online doesn't make a lot of sense -- for customers or for retailers. However, Feinberg warns that no business, not even home improvement, should turn a blind eye to Amazon. Amazon has already started to disrupt businesses that are seemingly out of Amazon's element, like pharmaceuticals and groceries. "If you're not buying your plywood from Amazon now, you will be in the future," he says. "They'll find a way to do it."